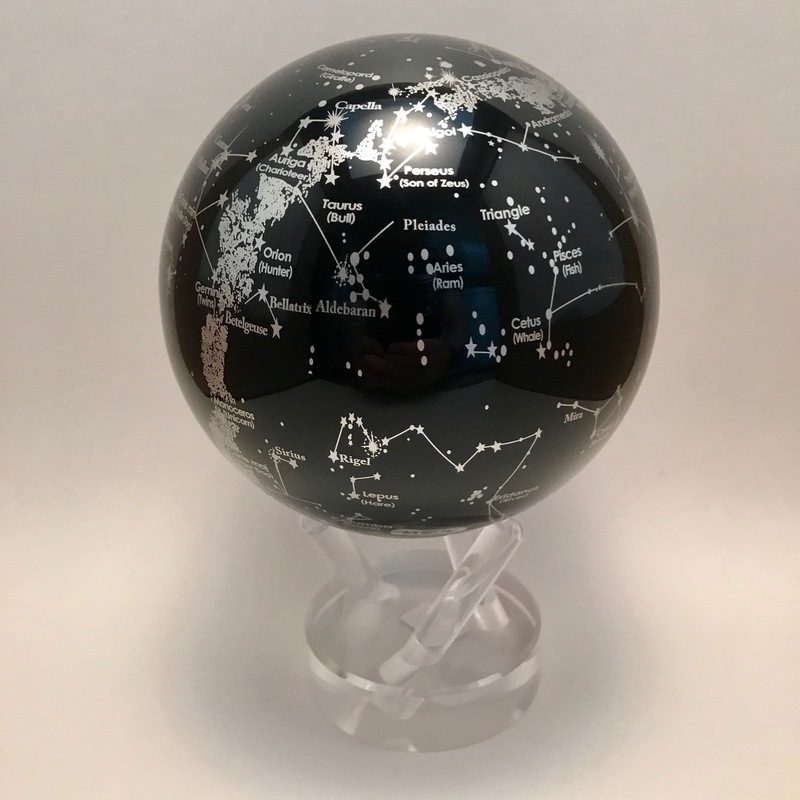 Constellations revolving globe is composed of two spheres, a stationary outer shell that contains an inner rotating globe suspended by liquid. 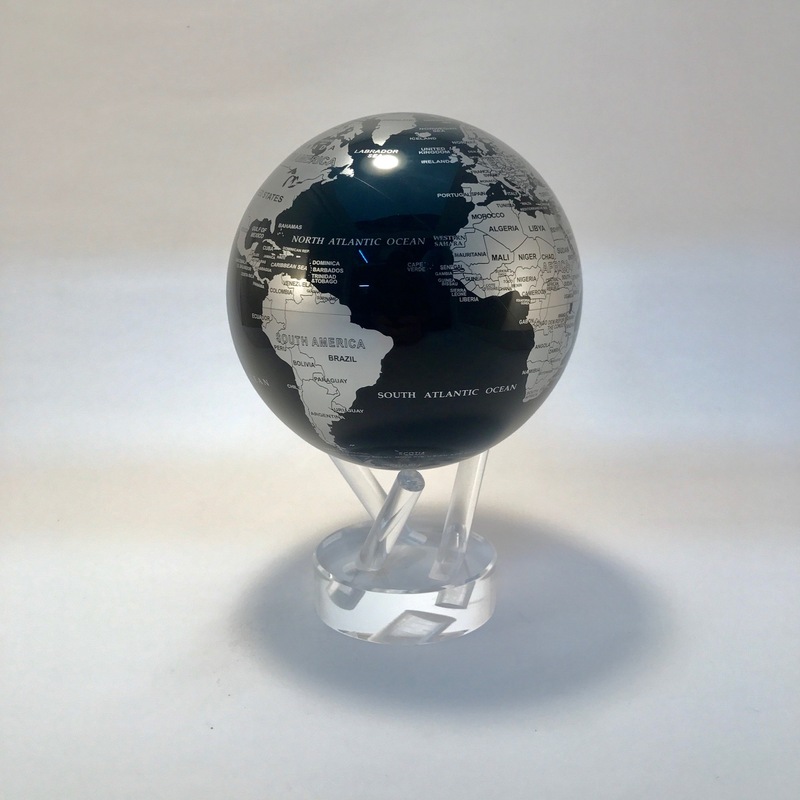 A sophisticated motion mechanism rests discreetly inside the globe along with solar cells, magnetic elements and other proprietary components which in turn drive the globe’s continuous rotation without any batteries or electricity. 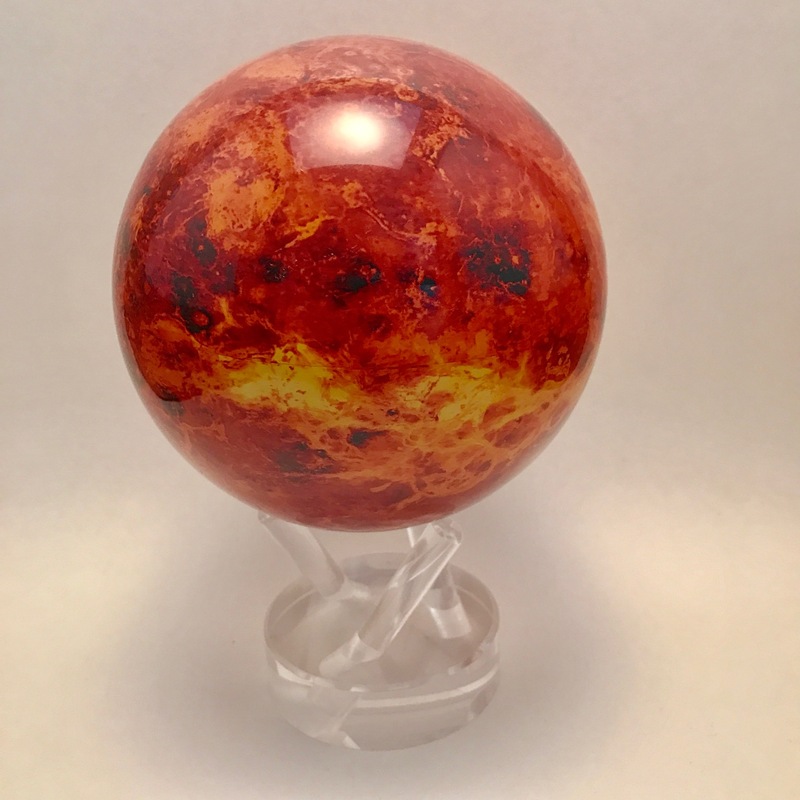 The patented liquid between the two spheres not only provides a frictionless base for the globe to turn, but also creates the optical illusion of the globe rotating magically on its own without any apparent force.